This post, and the ones that will likely follow, all prefixed with ‘Some Russell Brand Inspired Thoughts…’, is inspired by the comedian’s turn to politics and the like. Having watched Russell Brand on Newsnight earlier in 2014, where Jeremy Paxman was particularly rude and dismissive of Brand (a weird attitude for Paxman to take considering that when Paxman interviews people such as Boris Johnson, a ‘buffoon’ of the highest order, he treats them with the respect you come to expect of an interviewer working for the BBC), I became interested in the message Russell Brand appeared to be promoting – and to that end I am hoping to receive his latest book, Revolution, as a Christmas present (and if that happens there will definitely be more Russell Brand Inspired Thoughts… (the local library, where I had hoped to borrow a copy, is inundated with reservations for the sole copy it possesses, thus, I’d be waiting a long time before getting to read it)). This particular post focuses on one of Russell Brand’s current projects as he challenges ‘popular’ policy w/r/t drugs use. The documentary that aired on BBC Three on Monday 15th December 9pm, Russell Brand: End the Drugs War, was interesting in that it raised a fundamental question that exists around the area of ‘drugs:’ why do the users of some drugs become criminals in the process of using said drugs? It, the documentary, surely raised other questions and, judging by the reviews following the programme being aired, likely polarised opinion, not least because Russell Brand advocates the legalisation of ALL drugs. Whether one agrees with Russell Brand on this point, or any of the other points he raises, is, to some extent, by the by. What is most interesting is the fact that he is attempting to engage people (politicians and the general public) in matters that frequently fail to be addressed satisfactorily. A major shift in drugs policy came about in America in 1914 with the passing of The Harrison Narcotic Act (1914). Laws in the UK became sterner following the Misuse of Drugs Act (1971), a move prompted, arguably, by the United Nations’ belief that UK laws were not stringent enough. Again, these are not necessarily what we should be focussing on. What is most important is the ‘turn’ from drug users being seen as a ‘health’ problem, to suddenly being viewed as ‘criminals’ liable to prosecution. The incredible shift that took place to make this possible is interesting in terms of political manoeuvring, and the motives behind such manoeuvring, and Russell Brand’s documentary goes some way to addressing and/or highlighting this. 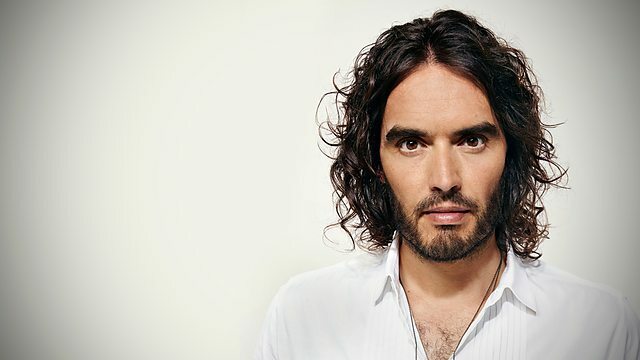 So whether one finds Russell Brand to be ‘one’s cup of tea’ (likeable/affable/well-intentioned), or ‘not one’s cup of tea’ (annoying/naive/out-of-his-depth), it is hard to dispute the fact that he challenges and/or draws attention to current thinking where drugs, and drugs laws are concerned. The term ‘buffoon’ is used here to describe a person (Boris Johnson in this example, but there are others) who has been educated to the highest level, and is clearly not stupid, but who chooses to act like a fool for reasons I cannot discuss here. And here it is very important to distinguish between those scorers of scag (or whatever else), those emaciated individuals with a whole host of health issues that you can very much discern just by looking at their pitiful form, and those people who commit crimes whilst ‘on’ drugs (because not all drug users commit crimes – other than the crime of taking a drug). And perhaps we should also distinguish them from the suppliers and/or dealers of scag (or whatever else), for they are a very different breed of individual. This entry was posted on Thursday, December 18th, 2014 at 10:02 pm	and tagged with drugs laws, revolution, Russell Brand and posted in Pondering, Writing. You can follow any responses to this entry through the RSS 2.0 feed.